Suc It, originally uploaded by truublooo*. 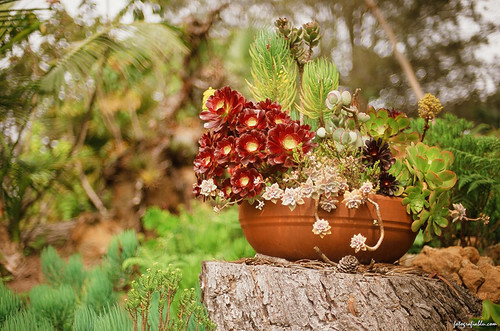 A container full of succulents sits on top of a tree stump. Nikon n90s, 50mm f/1.4, Fujifilm Superia 200.